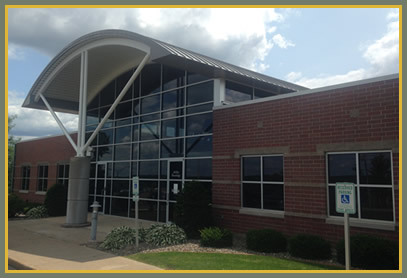 Acuity Neurology is the new multispecialty clinic that has evolved from North Central Wisconsin Rehabilitation Associates, originally founded in 1989, and is staffed by Board Certified physicians specializing in Neurology and Physical Medicine and Rehabilitation. Acuity Neurology is the leading provider of specialty care for diagnostic and treatment options of diseases related to the brain, peripheral nerves, muscles and spine. Specialty care for patients with headaches/migraines, dementia, Parkinson’s, multiple sclerosis, neuropathies, and stroke and brain injury is provided with multidisciplinary treatment. Evaluation and diagnosis related to weakness, numbness, pain, cognitive problems and associated functional problems relative to mobility, self-care and ADLs are common place. Procedures offered include electromyography (EMG/NCV), nerve conduction velocities, EEG, lumbar punctures and Botox injections for spasticity and/or headaches. Inpatient neurologic services are also provided. COPYRIGHT © 2016 ACUITY NEUROLOGY ALL RIGHTS RESERVED.